Military moves are different than normal moves. Sure, in both of them, you move stuff. But there are more things to consider with military moves. 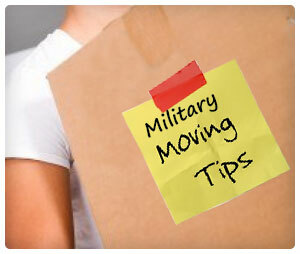 Here are some additional military moving tips. Think DITY – DITY moves, aka PPM, allow you to be paid 95% of what it would cost the military to move you. If you do it on the cheap, you can earn money moving. Move what you can – Even just packing up your sedan can lead to cash — partial DITY move. Vacation – You get 10 days off to move and find a place to live. If you can plan and prep while still working (such as at night or on the weekends), moving can be like a vacation. Per diem conscious – You’ll get paid rates for meals, travel and lodging (I believe it’s about $265 per day for everything). Keep receipts – You won’t get any money back for per diem expenses if you don’t keep receipts. Use military resources – The military itself is a huge resource, but so is the Veteran’s Association and the Rental Partnership Program — their goal is to help you, service member. Ask for military deals – Know that military service members are a large source of income for hotels and moving services — they want your business and usually have policies in place to attract it. Ask for military discounts wherever you go. Communicate with the military – Your relocation office or traffic management office (or both) should be on speed dial. Call them with whatever questions you have to ensure you are following the right procedures.